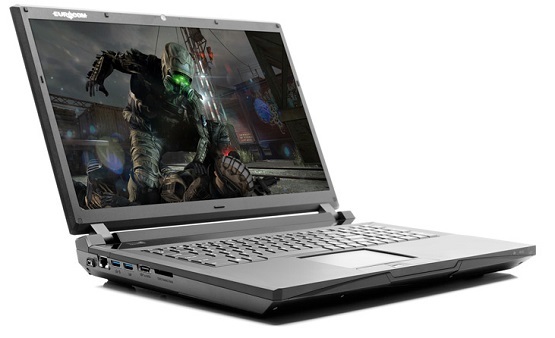 Eurocom offers a complete line of graphics card options in our line of fully upgradeable, high performance gaming laptops powered by NVIDIA GeForce and AMD Radeon graphics and NVIDIA Quadro based Mobile Workstations, which now include NVIDIA GeForce GTX 980M and 970M. At Eurocom, the customer is in charge from the beginning. We offer as many options to our customers as possible so they can make the informed decisions in terms of choosing the exact combination of components and technology to best serve their individual technology needs. Having the ability to customize your Eurocom system allows users to have the perfect configuration for their needs and pay for only what they need. A variety of performance levels are offered in the line of graphics to allow customers to choose the precise performance level they need. Eurocom customers can now combine NVIDIA GeForce GTX 980M or 970M in single and SLI with 32 GB DDR3-1600 memory, Intel Core i7 Extreme Processors and up to 8 TB of high capacity storage for unbeatable performance that is 50% faster than previous generation NVIDIA GeForce GTX 880M. Eurocom systems are custom built and fully upgradeable at time of purchase or well after, putting Eurocom customers in the driver’s seat of their high performance laptop. At Eurocom, the customer is king. “At Eurocom, we have offered fully upgradeable notebooks and the corresponding graphics options to our clients for many years because we believe very strongly in the long term benefits it offers our clients; VGA upgradeability allows users to extend lifespan of their equipment without compromising performance ” Mark Bialic, Eurocom President. With a combination of incredible performance and exclusive gaming technologies, NVIDIA GeForce GTX, NVIDIA Quadro and AMD Radeon graphics options deliver a full spectrum of capability and price points. Several ultra-high end gaming systems such as the EUROCOM Panther 5, EUROCOM X7 or EUROCOM X8 offer dual GPU support for AMD CrossFireX or NVIDIA SLI operation. Double graphics card operation offers significant performance gains because it has two cards working together.